This is the best practice style for web writing. 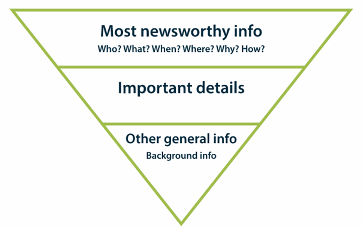 The pyramid means placing information in order of importance. The nub of the story – who, why what, where and when – appears in the first paragraphs. This should be a conclusion of the main facts. Other facts are included in descending order of importance.